as a super user or root using some text editor. Restart the machine to see your touchpad Tap working. Note: This enable 2 finger tap for right click & 3 finger tap for middle click. Yup, works like a charm on my Dell Latitude E6510. Thanks for the instructions! No this does not work.I have a Dell Inspiron 1440 laptop the touchpad here is just able to help for cursor going from one end to the other end of screen.What I want is if I click upon some icon say firefox with touch pad (not the two control buttons below touch pad) then it should launch firefox.This problem I face with Fedora 16 only.I have another machine of same model with Ubuntu installed on it and it works like a charm.Do I need to do some thing additional for this to work on Fedora? If you are using gnome 3, you have an option in system settings –> mouse –>touchpad –> check the option tapping as click. check it is working?. & Also you can enable two finger scroll for easy scrolling instead of your side scrolling if it is available. Well since I am new to Fedora I do not know what is running,is there any command by which I can open the thing which you mentioned and then try it.Since laptop touchapd tap is already not working so my life is difficult. Warning** I tried this in Fedora 17 and my system stalled when booting. I’m not sure why it stopped but one of the services didn’t like the change. I booted with a live usb drive and changed it back to get my system to start. 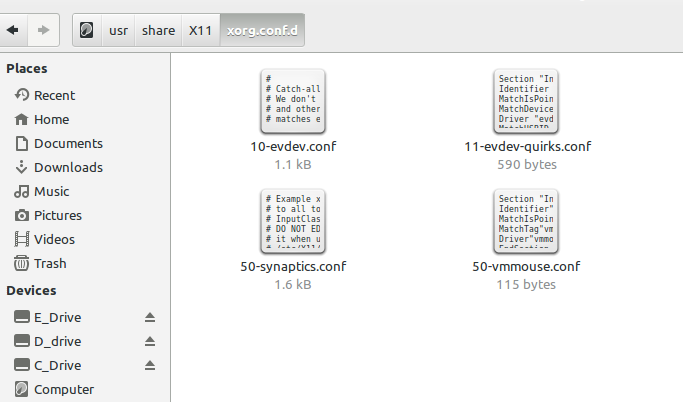 If you copy paste the lines with that kind of quotation on the synaptics file, like I did, that is what happens. If you change the “ ″ to ” “, then it works, and it can be done, using the recovery mode, editing the file with vi or vim. With the correct quotation, the tapping on the log screen, works fine on fedora 17. No, this does not work. (FC17) even with VI in textmode. Edit grub2 by pressing “e” when booting. Type “init 2 single” and remove rghb and quiet. Edit the 50-synaptics file urinegewogen vi. It works, I forgot to add EndSection at the bottom of the “50-synaptics.conf” file.